With Thanksgiving behind us and the tree ready for decorating in our front room, I can officially say we’re full swing into the holiday spirit. This is the time of year I make my wish list of must-hit events and prepare the kids for running full steam ahead until Christmas. 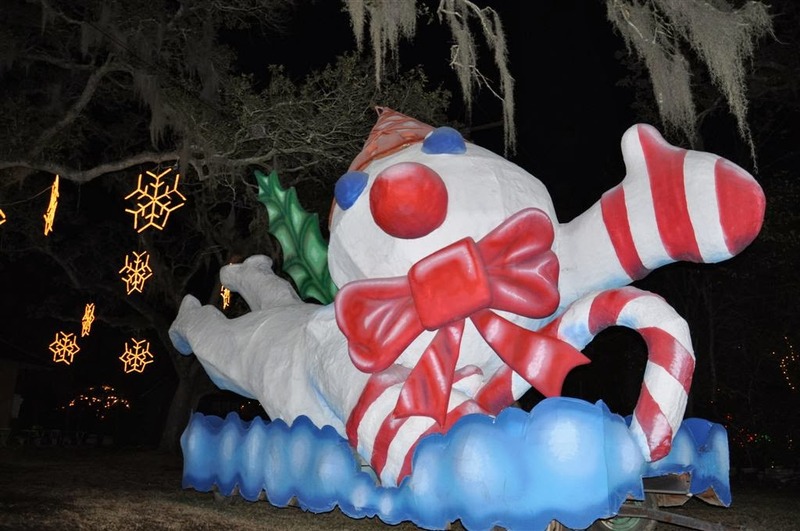 We start with the tried and true ones, from Celebration in the Oaks at City Park to Santa, real reindeer and fake “snow” at the Miracle on Fulton Street. Then there’s the winter wonderland created in the lobby of the Roosevelt Hotel and the evening out sans children for a special Reveillon dinner. We also try to mix in a few new experiences to brighten the holidays. 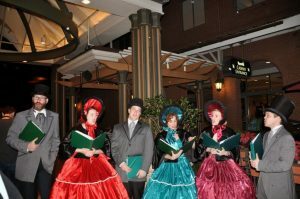 Last year, we tried a children’s rendition of the Nutcracker at Loyola University and a staging of A Christmas Carol at the Contemporary Arts Center. 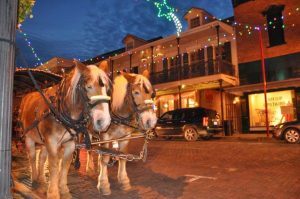 For New Year’s, we ventured north to Natchitoches to experience the Christmas Festival of Lights, well worth the trip for anyone thinking of visiting this beautiful, historic town. This year, I’ve been eyeing the Moscow Ballet’s Great Russian Nutcracker at the New Orleans Saenger. Perhaps we’ll set off out of town again to experience what the rest of the state has to offer. This weekend, the small town of Arnaudville pulls together some of the region’s best artists for Fire and Water: Le Feu et l’Eau Rural Arts Celebration. It’s also the time for holiday bonfires, which, believe it or not, we have never seen! 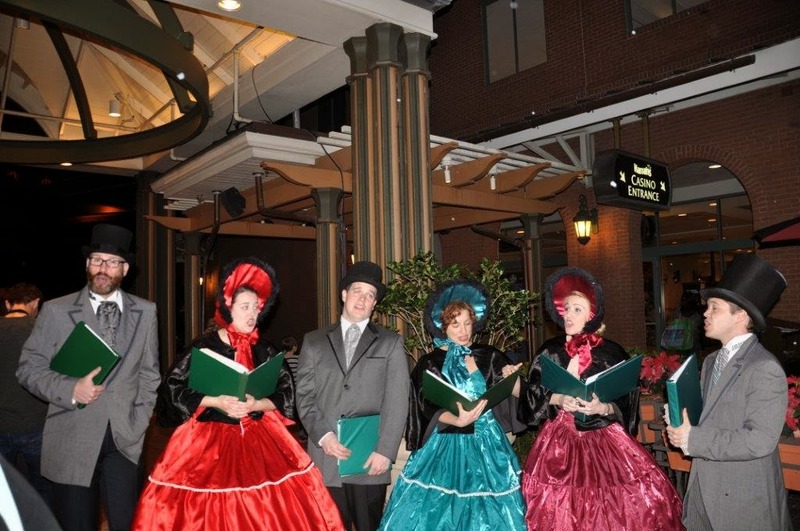 Oak Alley hosts their 38th Annual Christmas Bonfire Party this Saturday, Dec. 7. The 24th Annual Festival of the Bonfires lights up next weekend in Lutcher, offering a glimpse into the much-anticipated Christmas Eve bonfire spectacular in Gramercy and Lutcher. With so much going on, it’s hard to decide where to even begin. Perhaps start with my article in Country Roads on ways for “Lighting the Dark” this holiday season or check out their Calendar of Events for endless possibilities. 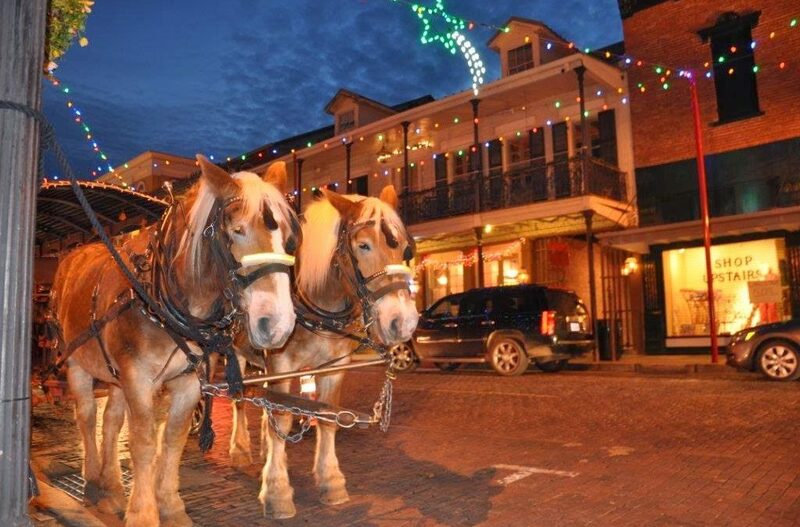 Maybe we’ll see you around town as you discover the joy of winter in Louisiana. Part of the experience of any trip we take is getting there, and the kids have come to crave their snack-filled, Scooby Doo watching car ride as the beginning of their grand adventure. Once we arrive at our first stop, their tummies are full and they have enough energy built up to run a marathon. As usual, our five-year-old darted out of the car before we even stopped the engine. He was on a hunt for lizards, something he has become a pro at catching. 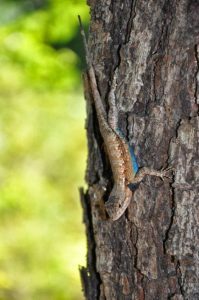 It’s been more than a year since we last visited the Northlake Nature Center, located across the street from Fountainbleau State Park. While the initial entrance looked the same, as we started walking into the woods, we noticed many improvements to the boardwalk and new trails weaving in between old ones. It was shaded and cool in the forest, and although we caught sight of monstrous mosquitoes, they seemed to spare us from harm during our mid-afternoon walk. Engraved signs shaped like rocks provided a non-intrusive education on the area’s wide variety of trees and their names. At the beaver pond, our oldest spotted the distinctive head of a red-eared slider turtle, and as we watched, several more popped up around him. 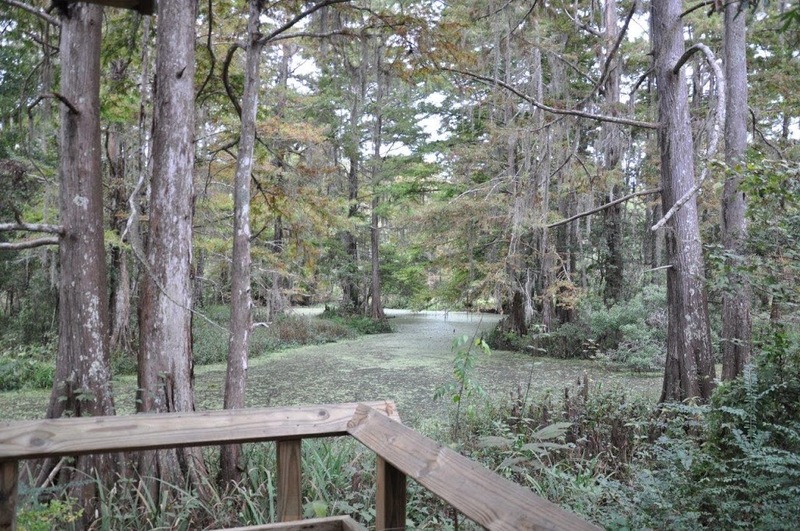 From here, we took the Eagle Trail, which led us past a small cypress-tupelo swamp and through the pine forest to the edge of the Nature Center near Pelican Park (a local ball park). 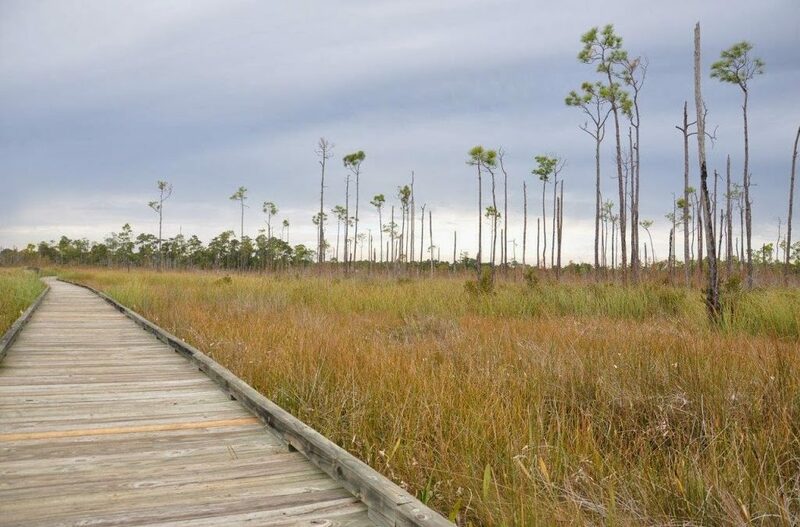 The path changed many times, from the initial boardwalk to a cushy pine needle pathway, then to the paved portion of a bicycle trail followed by a wide road lined with large rocks. It began to rain on us at this point, and the kids tucked away inside their strollers while we turned onto the last leg of the trail leading us back around to the beginning boardwalk. When we reached the beaver pond again, they sprinted and squealed their way back to the car, spooking any wild animals that may have been lurking in the shadows. On previous trips to St. Francisville, we always head straight for the historic town, walking the shaded main streets and shopping at Grandmother’s Buttons before setting off to tour a nearby plantation. 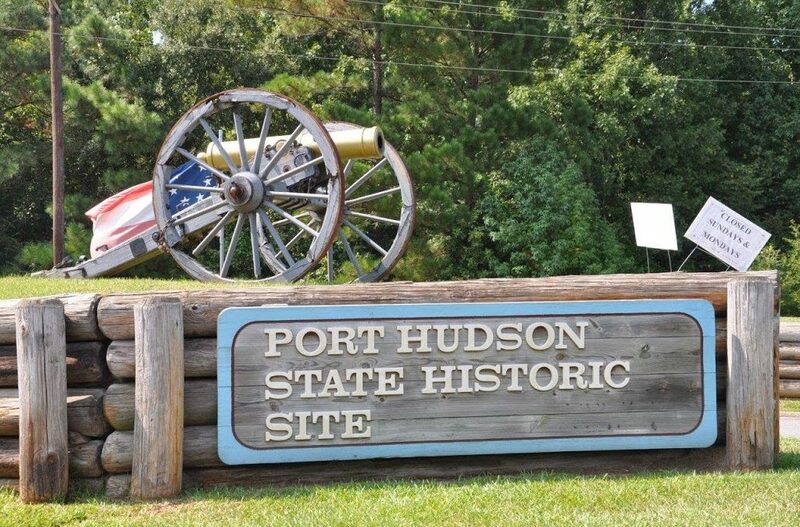 Although we see the sign for Port Hudson State Historic Site as we pass, we never stop, always having a slight aversion to taking toddlers to a battle site. On our most recent trip, though, we had a change of heart and decided it was finally time for us to veer off the road and check it out. As is most often the case, we were pleasantly surprised by our decision. 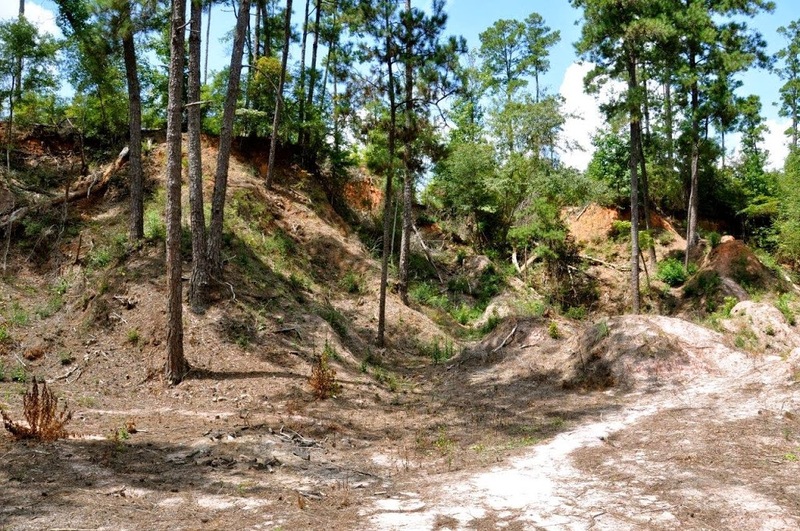 A model state facility, Port Hudson was immaculately kept up, with 6 miles of wipe-open trails for exploring and a child-friendly ranger who welcomed the kids and their insanity with open arms. An informative exhibit inside the museum offered miniature models of soldiers and horses that captured the kids’ imaginations, while the sad details of the actual battle were left to those old enough to read. 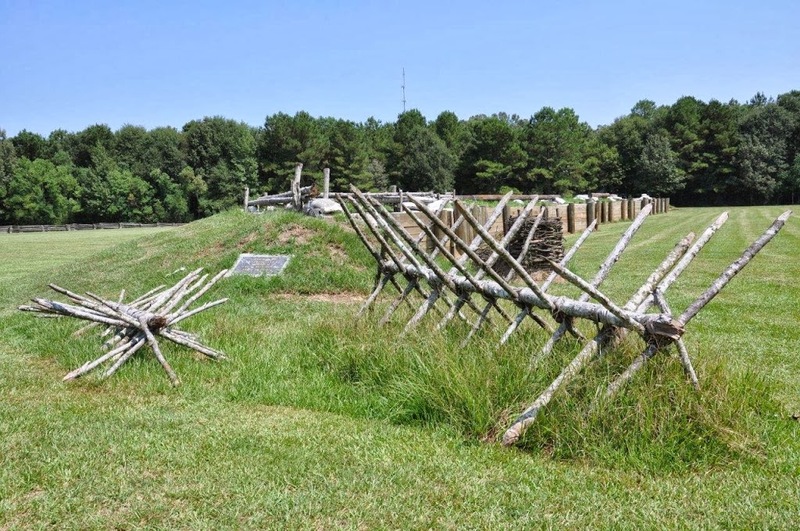 The longest siege in American military history took place at Port Hudson, where for 48 days 6,800 Confederate soldiers held off 30,000 Union troops. 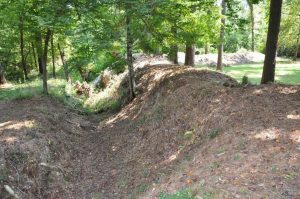 There were thousands of casualties before the Confederates finally surrendered after hearing that Vicksburg had surrendered. 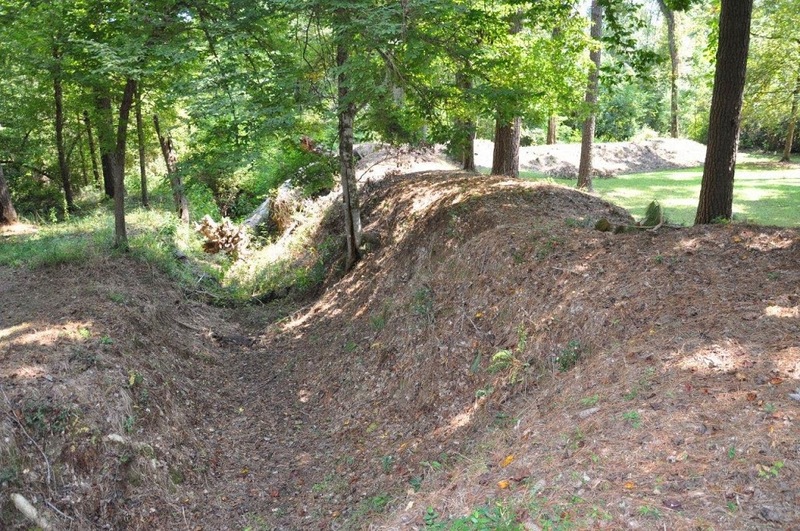 The site is also important as being the first battle in which African American troops from Louisiana were allowed to participate in the battle, fighting for the Union army against the Confederates. Port Hudson later became a recruiting center for African-American troops. 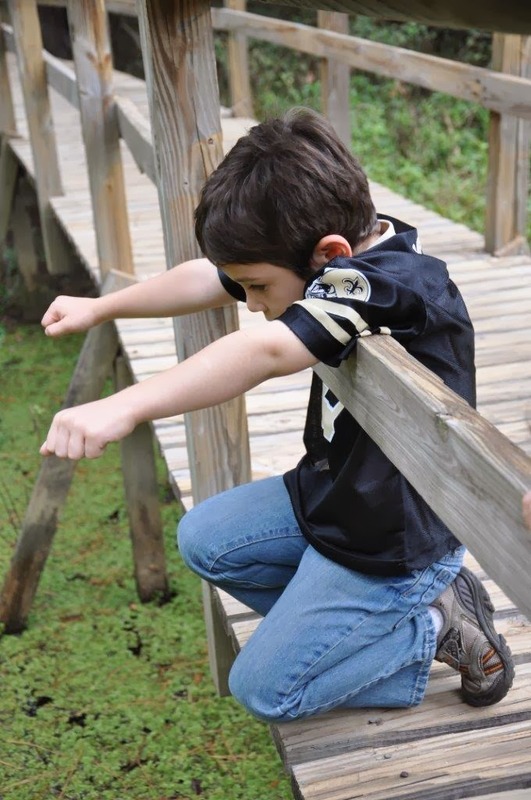 After brushing up on our history and watching the ranger let the kids try on a canteen and practice moving a small cannon, we began our journey on the trails outside. It first led us through an open field to original cannons used in the Civil War battle here. 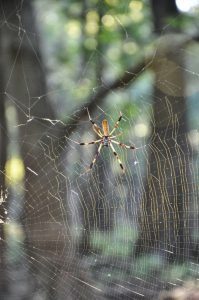 Then, looping around, it immersed us into a shady forest with giant spiders weaving webs right over our heads and small bluffs offering elevation changes not often seen in Louisiana. At Fort Desperate, an elevated boardwalk led us over the earthen hills built by the soldiers, and signs spoke of sharpshooters watching Union soldiers as they dug trenches to get closer to their enemy. We then crossed Foster Creek and found Fort Babcock, another series of earthen hills left behind to nature and the tiny frogs and lizards jumping and scurrying about through the fallen leaves. While the kids tested their bug-catching skills, we tried to imagine thousands of young soldiers hiding here in these woods 150 years ago. 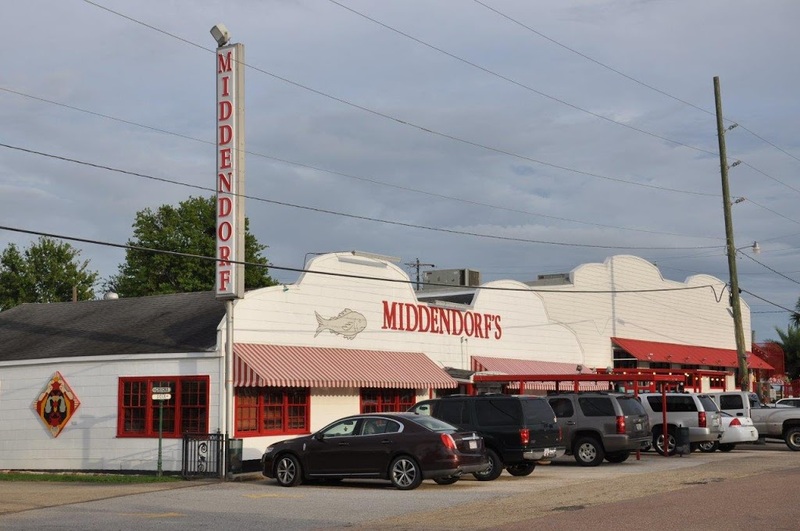 The day was still early when we left Port Hudson, so we headed toward St. Francisville to pick up a bite to eat at Magnolia Cafe. On a whim, we decided to drive to the edge of town to view the Mississippi River and were surprised to find the road leading nearly straight up to the water’s edge. 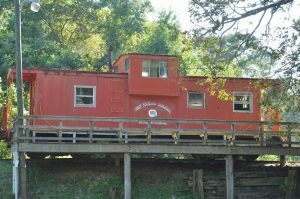 From here, we turned back and stopped off to investigate an old train car left behind from the West Feliciana Railroad. The kids climbed over every inch of it before we herded them back into the car to find out if the road was open to Cat Island. As we crossed the low-lying bridge over a local river, we were excited to realize that the road was not flooded as it had been on previous visits. 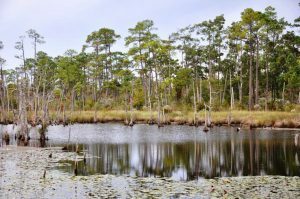 A family jumped across rocks in the scenic river while we headed out into the country, past several sightings of grazing deer to the dirt road that leads to Cat Island National Wildlife Refuge. A lack of signage and our own poor guessing at directions helped us “get lost in Louisiana” yet again before we finally found our way to the destination. 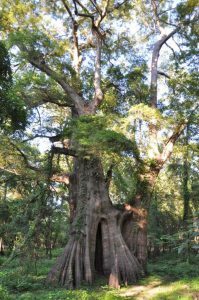 Inside the refuge, we parked at the trailhead for the old cypress trees and walked the short distance to the viewing platform for the National Champion Bald Cypress – an enormous, ancient tree dominating the old growth forest around it. We took our time admiring this grandfather of trees, which spends half of every year swimming in the floodwaters of the Mississippi River. It’s a sight to see and the perfect ending to our day of adventure. 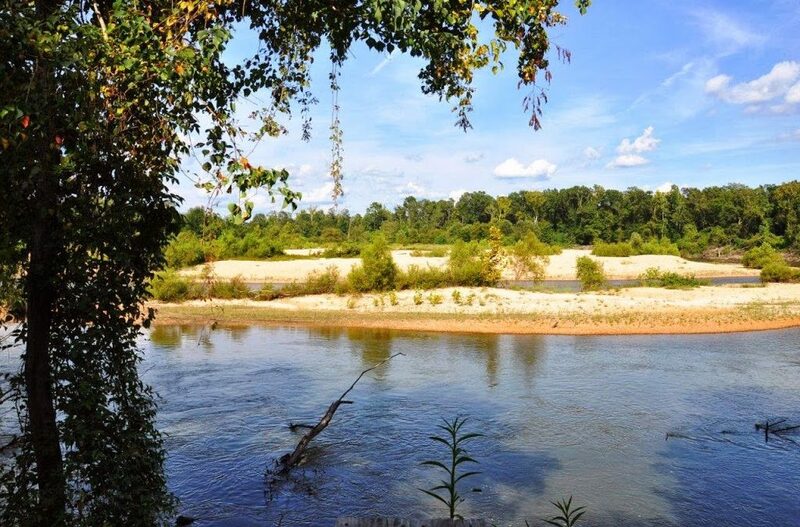 On an unbelievably hot Louisiana summer day, we set out to cool our toes in the waters on the Bogue Chitto River. The state park by the same name is one of Louisiana’s newest state parks, located near Franklinton. The drive there on LA-25 north takes you past some impressive nurseries. However, once you veer off the main road, the landscape felt foreign to us – as if we were suddenly in another state. 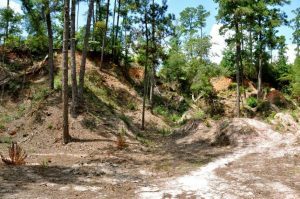 It appeared to be land that had been clear cut and then let alone to grow back wild, but all the vegetation was still short enough to give the impression of a wide open space. It’s hard to describe, but I had the same feeling as when we drove through the lava fields in Oregon – a bit disoriented. But then we reached the entrance to the state park, and everything changed again. 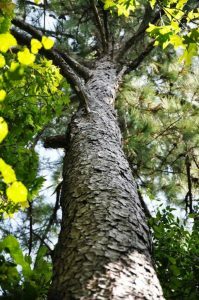 We drove inside to find a lush, fragrant pine forest, with bluffs and elevation changes similar to Tunica Hills near St. Francisville. Of course, by the time we reached our destination, it was lunch, so we headed straight for the picnic tables. 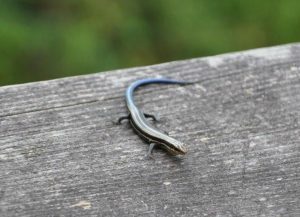 A covered table lent some relief from the glaring sun, and while we shoved bites of sandwiches in the kids’ mouths, they chased grasshoppers and dragonflies with giddy abandonment. We vowed to hold out as long as possible before the kids’ drenched themselves in the water, so we started with the hiking trail along the bluff’s ledge. The shaded path was a good 10 degrees cooler than the picnic area and led to stairs that descended deep within the gorge to a lower boardwalk trail. The area down below is known as Fricke’s Cave, although it bears no resemblance to a real cave. It’s unique features led National Geographic to do a story on the area years ago. A collection of Native American arrow heads found in Fricke’s Cave is displayed in the Visitor’s Center. From here we tried another trail around one of the park’s 11 fishing lakes, where we learned a little about nature from the labeled trees. We also discovered a handful of fossils–tiny imprints of long-ago plants and creatures–in the river rocks scattered about. Not to forget, this was also our first sighting of a velvet ant, which I later learned is not really an ant at all but rather a type of wasp. Who knew?! By this point, the kids had begged long enough for the water, so we hopped in the car and drove down to the river’s access point. 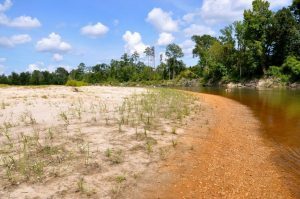 The main parking area was full, so we backtracked to the picnic area and set out from there–following the path through the woods, across the open beach that glared like the Sahara, and finally running full speed into the picturesque river. Several people were milling about on inner tubes, slowly floating downstream while basking–or should I say baking–in the sun. (In case you’re wondering, there is an outfitter in the park that rents the inner tubes.) We stayed long enough for the fish to start nibbling at our toes, and then trecked our way back across the desert for our final destination–the jewel of a water playground. Not only was there a giant tube slide that dumped the children right into a a long tub of water, but there were streams of water shooting out of the ground and falling out of the sky. While the kids thoroughly drenched themselves, I bought snoballs at the nearby stand as a special treat on our hot summer adventure. On a whim, we recently decided to take a little drive and check out Tickfaw State Park in Springfield, not far from Ponchatoula and Hammond. 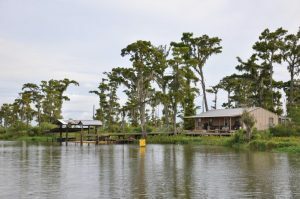 It was a scenic journey, north on I-55 through that swampy strip of land sectioning off Lake Maurepas from Lake Pontchartrain. 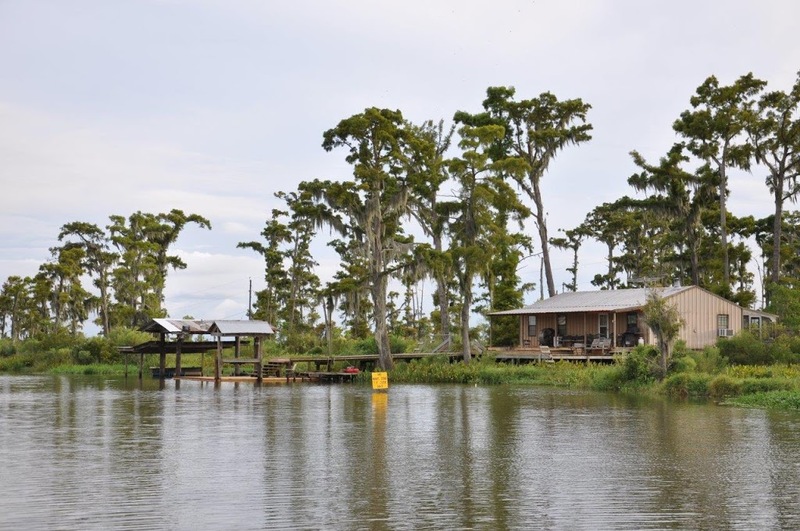 Near Ponchatoula, we headed west into the country, first past some surprisingly large, elegant homes that slowly tapered down to more rustic, rural houses. 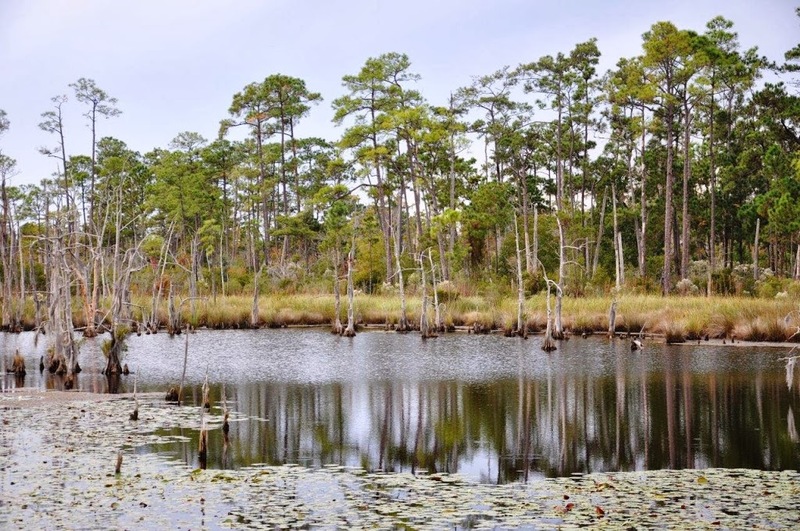 We passed a few notable spots along the way, including a sign about an old Spanish fort and Springfield’s role in the West Florida Revolution. Once we arrived at Tickfaw State Park, we headed straight to the Nature Center, which the website says houses an 800-gallon aquarium filled with fish from the Tickfaw River. Unfortunately, a posted sign said the Center was closed on Sundays and Mondays, which I assume is the sad result of state park budget cuts. 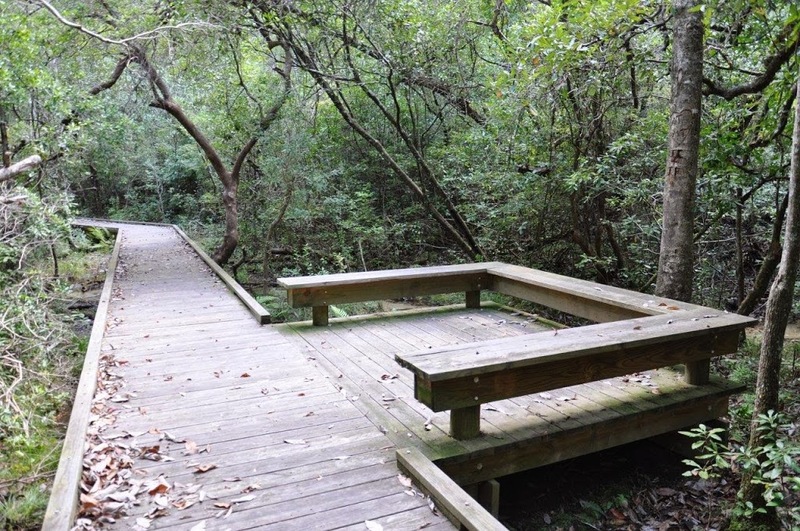 After a quick round of pouting, we perked ourselves up with a picnic lunch and then set off to discover the boardwalk trail leading out from behind the building. 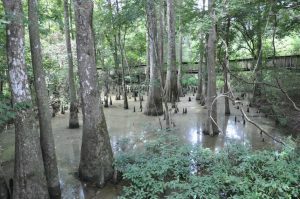 The route began in a quiet cypress and tupelo swamp, where cypress knees extended high above the murky water and skinks were prolific on the boardwalk’s railings. 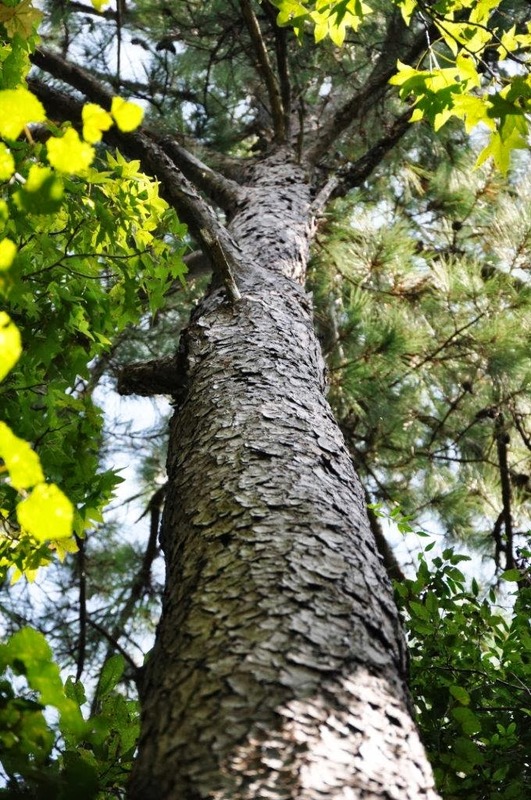 After a short walk, we emerged on dry land in a more traditional forest of hardwood trees. The kids carefully selected walking sticks from the broken branches scattered about, and then we made our way back to the Nature Center where we peaked in the back window and saw the aquarium. 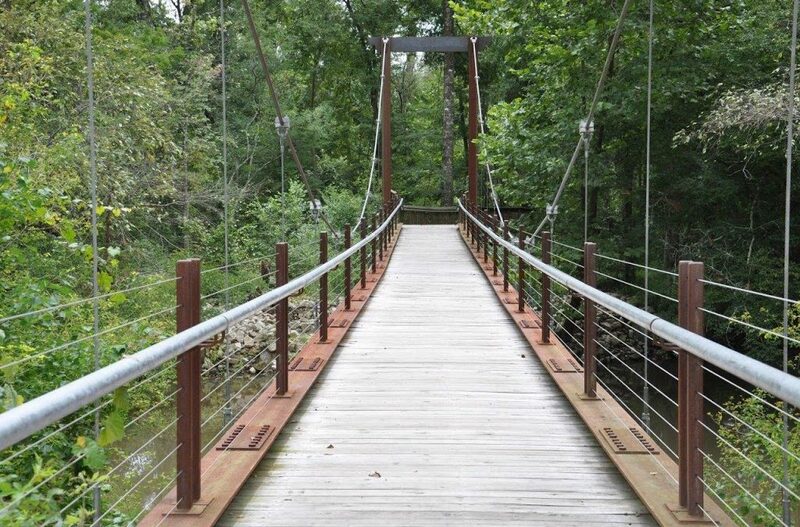 Farther back in the park, another trail led us along a boardwalk to a bridge over the Tickfaw River. I thought those striped, blue-tailed skinks had been abundant before, but here they seemed to have taken over the place. Our five-year-old could hardly walk two feet before crouching down to sneak up on the next one. The river was muddy and lazy, winding through a serene stand of trees. 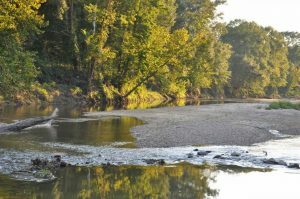 We ventured along its banks, spotting countless frogs and water turtles and watching for signs of fish before backtracking to the elevated trail. Our last stop was the playground, a destination our youngest begs for daily and one we always have to save until the end–or else we’ll never make it anyplace else! So while the kids climbed and slid their way up and over the equipment, we rested on the nearby benches. I was nearly certain the splash park would be next up on the list, but a sudden shower had us instead running for the shelter of the car. To kill time, we drove the streets back toward the entrance, veering off here and there to see what we had missed along the way. 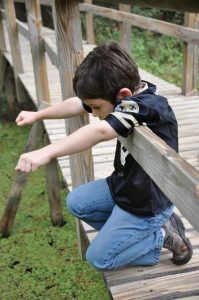 This is how we found ourselves at a small pond, walking the circular trail around its perimeter and watching with wide-eyed wonder as the resident alligator swam along beside us. 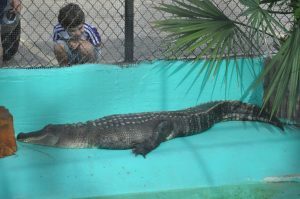 With alligators on the mind, we had to stop on our way out in Ponchatoula, where Old Hardhide lives in his cage in the middle of downtown. He was relaxing on the side of his pond, silently snoozing while we snapped photos of the kids squatting only a foot away on the opposite side of his chainlink fence. Next door, the old town depot from 1894 beckoned us inside with the promise of arts, crafts and antiques. The kids talked us into buying them toy alligator head grabbers in return for them smiling for a photo in front of the old locomotive across the street. For the day’s finale, we pulled off the interstate in Manchac for some of Middendorf’s famous thin-fried fish. We ate our fill and followed it up with homemade ice cream before taking our leftover bread outdoors to feed the seagulls. 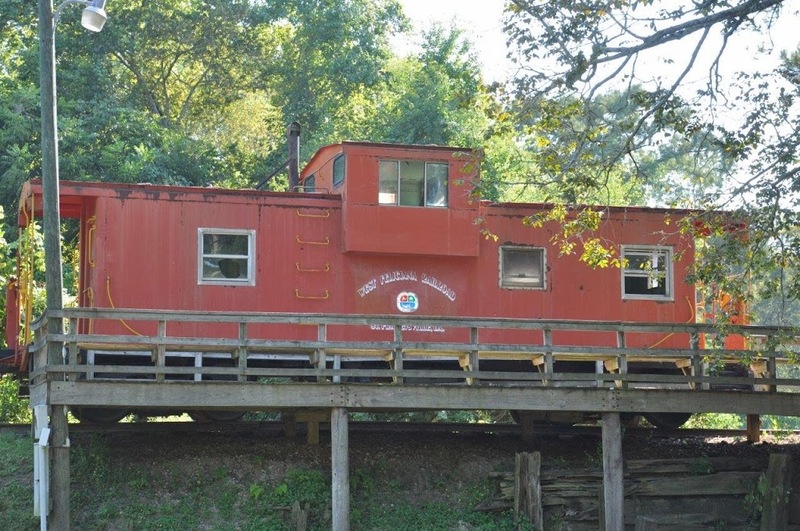 While we stood there on the small pier with birds circling our heads, a train barreled past, flying across its narrow bridge over Lake Maurepas. By now, the kids had discovered the giant sand pit behind the restaurant and set up shop next to the palm trees, building tiny villages with toy trucks and buckets. I’ll only say it was “difficult” to persuade them to leave. Yet, as the sun set over the tiny fishing village, reflecting off the water and highlighting the floating lily pads, we all smiled at the beauty of this place that was so perfectly Louisiana.